=s!x= is a Source based gaming clan. Our members are interested in games such as Team Fortress 2, Half Life 2: Deathmatch, and Counter Strike: Source. Most of our members are from the United States and the UK, while we also have members in Canada, France, and Brazil. The clan is centered around a mature community of people who love to play together rather than playing skill, but we certainly appreciated that as well. =s!x= Nano here to wish you all a Merry Christmas. Love y'all. Why have you left the group? I'm finally willing to admit it's over and move on. 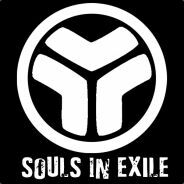 The Souls in Exile is dead for me, so I'm leaving the group. Love ya guys, hope to see ya around source.